The thirteenth century saw such a proliferation of new encyclopedic texts that more than one scholar has called it the "century of the encyclopedias." Variously referred to as a speculum, thesaurus, or imago mundi—the term encyclopedia was not commonly applied to such books until the eighteenth century—these texts were organized in such a way that a reader could easily locate a collection of authoritative statements on any given topic. Because they reproduced, rather than simply summarized, parts of prior texts, these compilations became libraries in miniature. 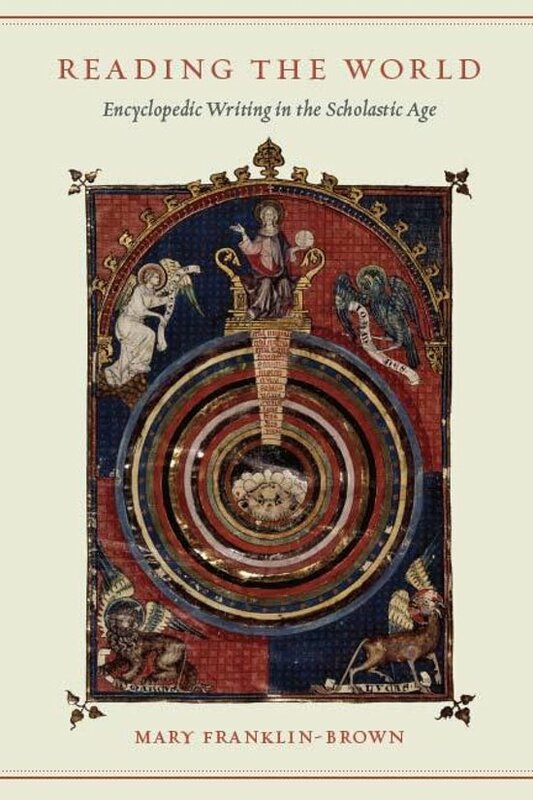 In this groundbreaking study, Mary Franklin-Brown examines writings in Latin, Catalan, and French that are connected to the encyclopedic movement: Vincent of Beauvais's Speculum maius; Ramon Llull's Libre de meravelles, Arbor scientiae, and Arbre de filosofia d'amor; and Jean de Meun's continuation of the Roman de la Rose. Franklin-Brown analyzes the order of knowledge in these challenging texts, describing the wide-ranging interests, the textual practices—including commentary, compilation, and organization—and the diverse discourses that they absorb from preexisting classical, patristic, and medieval writing. She also demonstrates how these encyclopedias, like libraries, became "heterotopias" of knowledge—spaces where many possible ways of knowing are juxtaposed. But Franklin-Brown's study will not appeal only to historians: she argues that a revised understanding of late medievalism makes it possible to discern a close connection between scholasticism and contemporary imaginative literature. She shows how encyclopedists employed the same practices of figuration, narrative, and citation as poets and romanciers, while much of the difficulty of the imaginative writing of this period derives from a juxtaposition of heterogeneous discourses inspired by encyclopedias. With rich and innovative readings of texts both familiar and neglected, Reading the World reveals how the study of encyclopedism can illuminate both the intellectual work and the imaginative writing of the scholastic age.